The Triangle Healthcare Executives’ Forum of NC, or THEF, was founded in 1980 by a group of healthcare professionals responding to a need for a local professional organization. 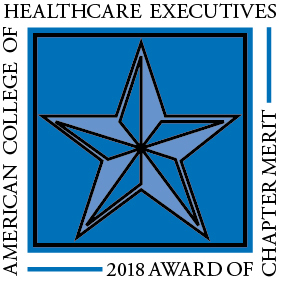 As an official chapter of the American College of Healthcare Executives’, THEF offers professionals from all areas of healthcare opportunities to learn from content experts and each other about the most pressing issues affecting the industry. The opportunity to meet and network with other healthcare professionals is unparalleled. The relaxed atmosphere of the educational sessions as well as leadership opportunities within THEF provide the ideal atmosphere to discuss and compare experiences and develop new ideas. While our educational sessions are open to the public, membership in THEF provides discounts on all registration fees as and access to the most up-to-date event information. Please browse through our website and contact us if we can help answer any questions. We appreciate your interest in THEF and hope to see you at our next event.